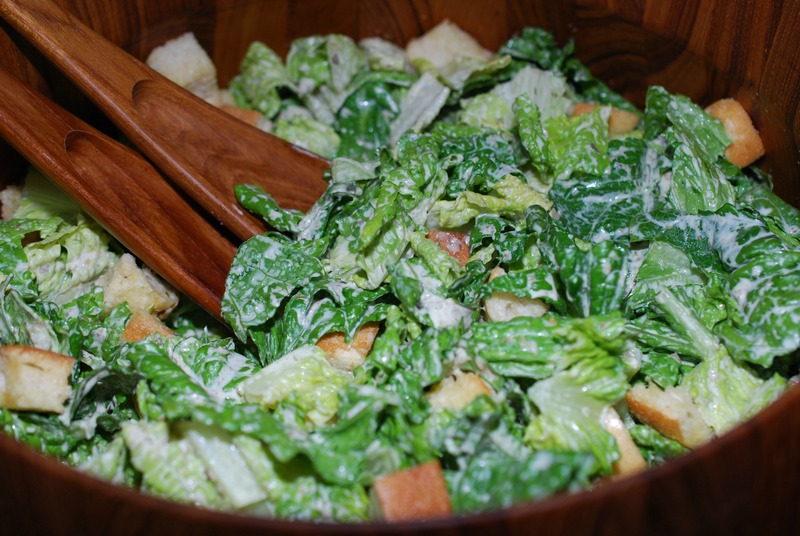 My very first post was for this caesar dressing back in February 2012 when I had hardly any followers. Now that some time has passed and I have over 45,000 followers (thank you so very much to everyone who follows along and takes the time to check out my posts) I am posting it again so that everyone can see it because it is that great! 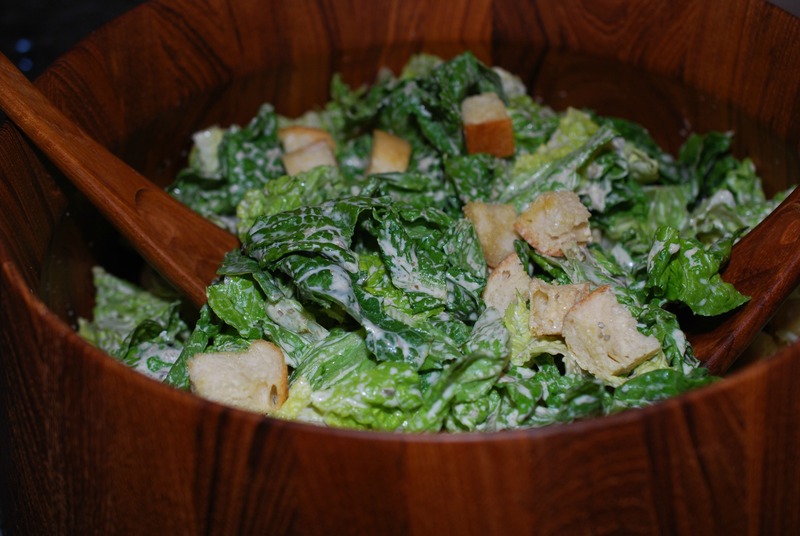 It was the first recipe I ever veganized because my family absolutely loves caesar salad and it is one of those things that is rarely ever vegan. Even if a restaurant can hold the anchovies, the parmesan cheese is already in the dressing. Also, most of the vegan versions I have tried are either too lemony or too bland. 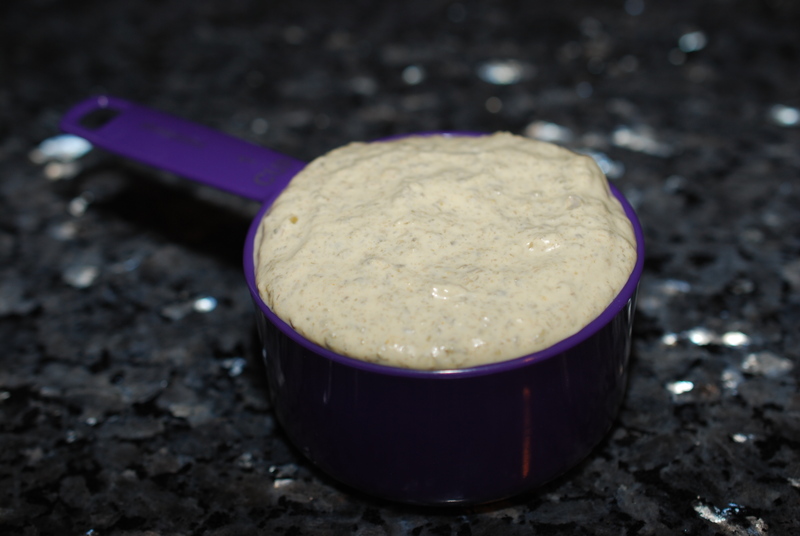 So, I played around and came up with a delicious vegan caesar salad dressing that tastes great and is really simple to make. Now we are not missing out at all and there is no need for any cheese or anchovies – I promise! Just break some romaine lettuce up and make some croutons and you’re good to go. 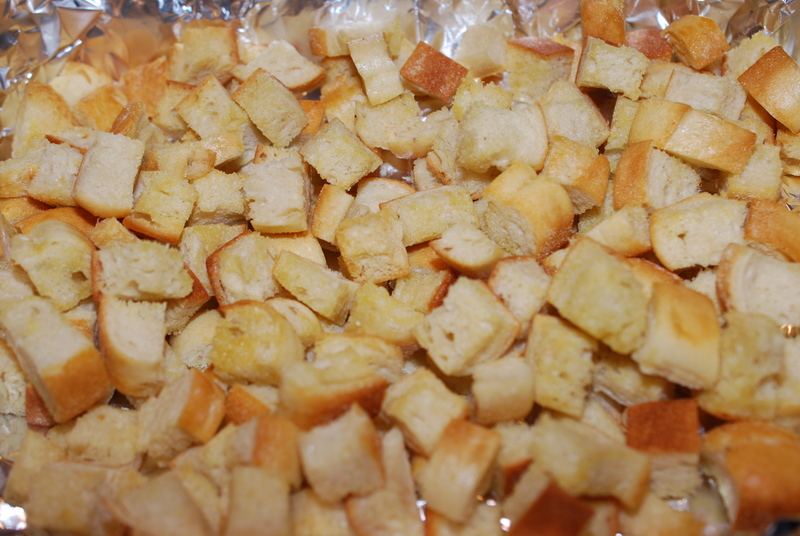 For the croutons, I love any kind of bread, especially pumpernickel, but to keep it classic, just cut up a loaf of french or italian bread into small cubes. Place in a bowl and drizzle olive oil on top and sprinkle with salt. Mix well with your hands and then place them on a baking sheet lined with foil and bake at 375 degrees for about 15 minutes. 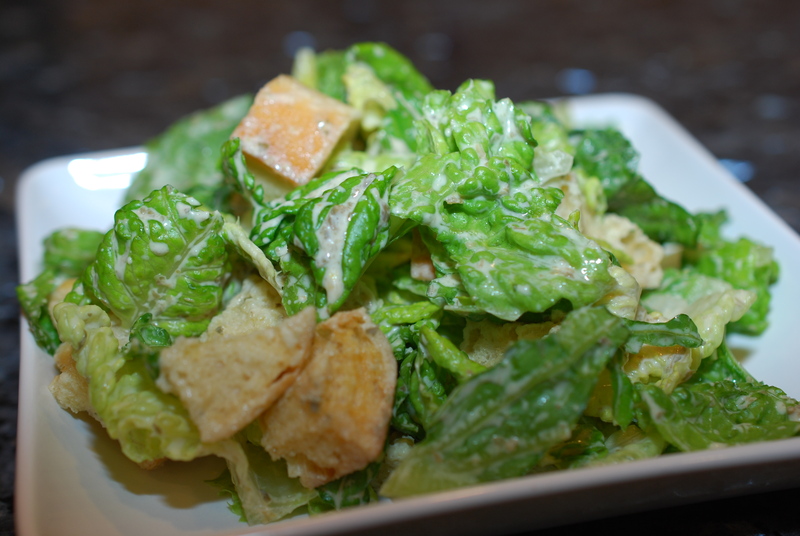 Toss lettuce, croutons and dressing and ENJOY!! 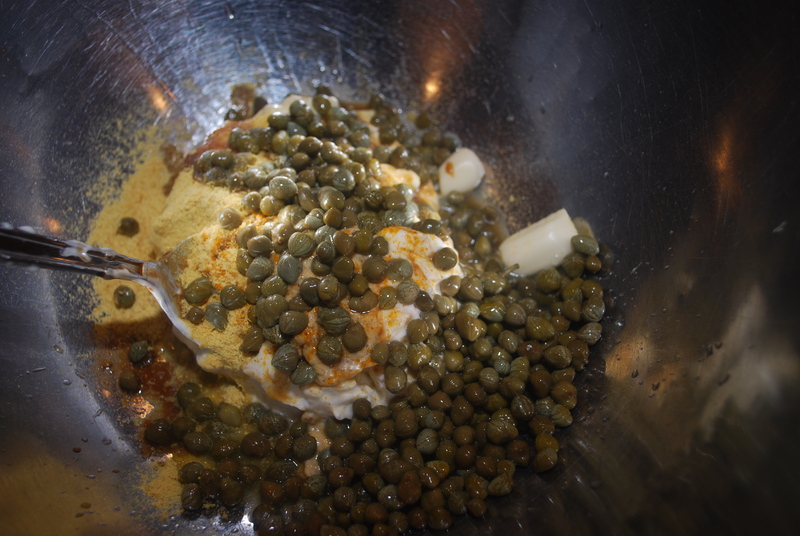 Mix all ingredients in a blender, or use an immersion blender. 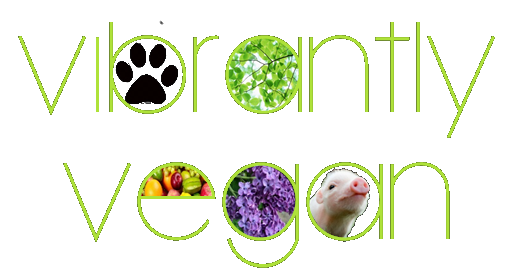 * nutritional yeast – a complete protein superfood. It is an excellent source of protein, B-Complex vitamins, minerals and fiber. It boasts the ability to assist with: sugar regulation, mood and energy elevation, detox and anti-aging efforts. 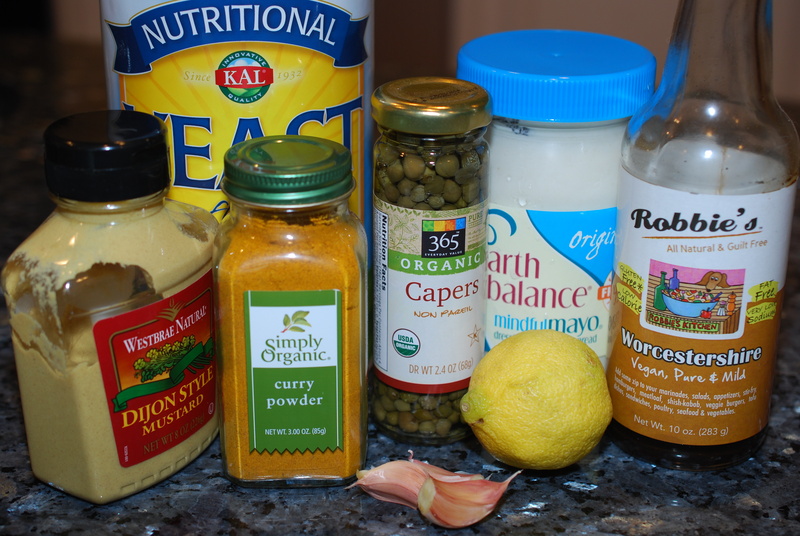 Nutritional yeast is a relatively low-calorie food (around 80 calories per serving) and is gluten-fee, cholesterol-free, sugar-free and dairy-free. I use the KAL brand, available at health food stores or online.